Fluoropolymers Film: Teflon® FEP, Teflon® PFA, and Dyneon™ THV™. Biogeneral makes film from fluoropolymers such as Teflon® FEP, Teflon® PFA, and Dyneon™ THV™. in continuous length with a width of ~3.25" (80mm). We can custom laser cut shapes to your specifications. In-house test data is available upon request. Biogeneral manufactures film from 0.0015″ (37 μm) to 0.0040″ (100 μm). The maximum width is ~3.25" (80mm). We can laser cut custom shapes to your specifications. Biogeneral can perform Teflon® AF film fatigue testing at your request. 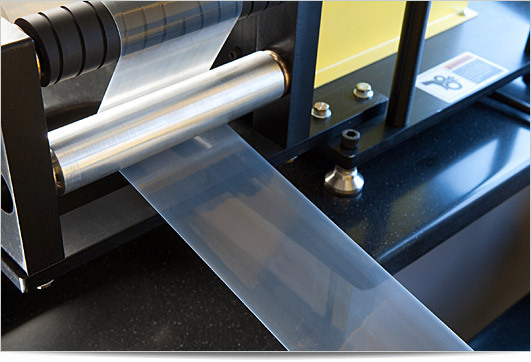 This might be helpful to understand the performance of Teflon® AF film in your application. In-house test data is available upon request.